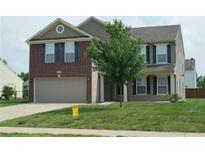 Below you can view all the homes for sale in the Oak Highlands subdivision located in Greenfield Indiana. 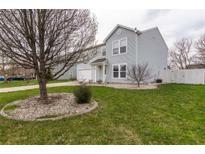 Listings in Oak Highlands are updated daily from data we receive from the Indianapolis multiple listing service. To learn more about any of these homes or to receive custom notifications when a new property is listed for sale in Oak Highlands, give us a call at 480-577-2304. The back yard is fully fenced (privacy) and a large concrete patio ready for some new spring furniture and BBQ grill! MLS#21632159. Front Porch Real Estate, LLC. There is a wash sink in the garage as well as an additional plug in for a stove...you don't want to heat the house up if you are canning! Easy Show MLS#21613386. CENTURY 21 Wilson & Associates.